At the start of this series, I did some searches for zombie information and immediately regretted the images that flooded my screen. Zombies are gross. Rotting flesh, gaping wounds, missing limbs, guts and gore spilling out—I don’t want to see that. What’s meant to be in the body is supposed to stay in there. And when things are spilling out? That’s a signal there a serious problem, in need of serious medical help. Can you imagine a zombie going about regular daily life like this? It would be tough to function properly, especially in regard to interactions with others. A body with rotting skin would not be able to function properly in life. Similarly, season of zombie-like faith make it difficult for us to function properly. I’ve had spiritual and emotional troubles that have left me with rotting flesh, gaping wounds, missing limbs, guts and gore spilling out. My diseased “spiritual skin” isn’t functioning properly, unable to keep inside what’s meant to be inside. Spiritual zombies are also rather gross. Zombies can be tough to be around. Whether we’re tending physical or spiritual wounds, the pain creates a prickly barrier between us and the world. It’s an additional hindrance to our sense of touch and feeling, the thing designed by God so we could engage with those around us. Without the ability to connect and feel the care and presence of others, isolation and loneliness grow. If you are in a season of zombie-like faith, and you are feeling isolated and alone, know that God isn’t bothered by rotting flesh, gaping wounds, missing limbs, guts and gore spilling out. 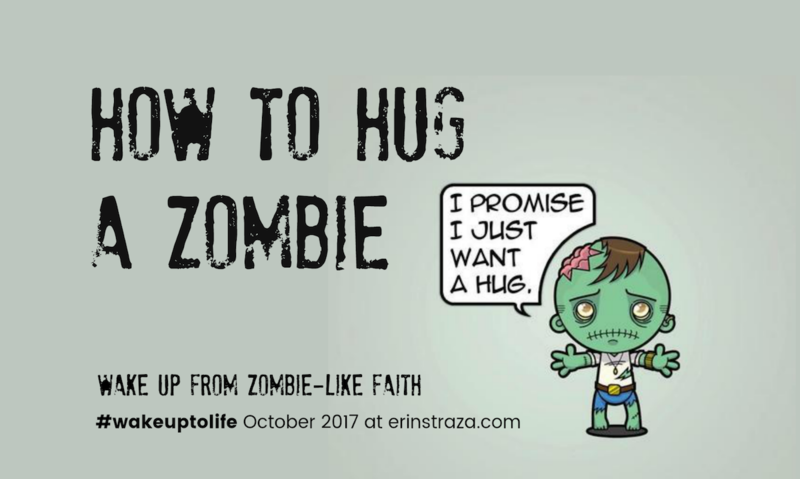 The beauty of the gospel is that God came after zombies like you and me, ugly as we can be, to love us to life and restore us to proper functioning.